THIS POST WAS EDITED IN SEPTEMBER 2015 TO REFLECT CORRECTIONS GIVEN TO ME BY RESIDENTS OF ONE OF THE AREAS DISCUSSED IN THIS POST. PLEASE CLICK THE “COMMENTS” BUTTON TO UNDERSTAND MY READERS’ POINT OF VIEW. 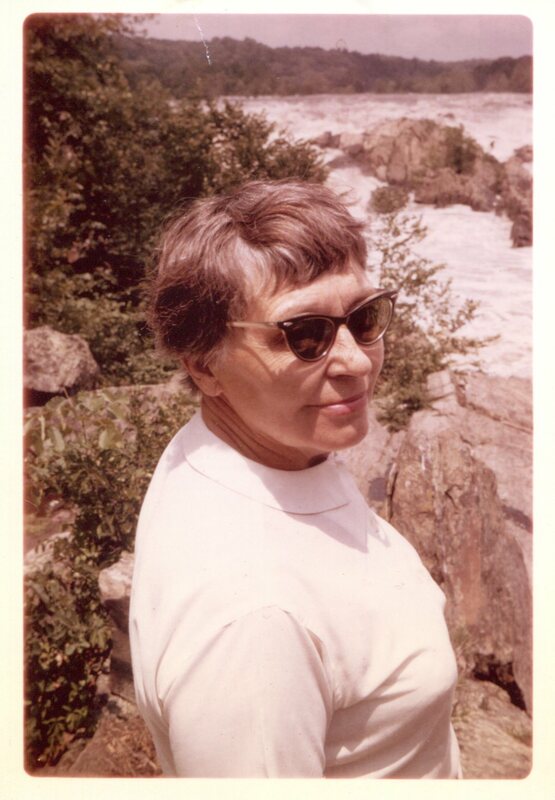 My mother, Elfriede Hoeber, traveled to more than 65 countries in her lifetime, but her favorite trip was to two small, hard-to-reach towns in the remote country of Alaska. In the mid-Twentieth Century, social progressives regarded providing better housing as a major step to improving the lot of disadvantaged populations. Elfriede spent 25 years as an ardent advocate of government support for housing improvement. In 1963, she accepted a position in the Kennedy administration working in an experimental bureau called the Low Income Housing Demonstration Program. This small agency tried to aid under-served populations cheaply and efficiently. They experimented with rehabbing tenements in Harlem rather than tearing them down, building prefabricated homes in Apache towns in the Arizona desert and placing needy families in individual homes in suburbs rather than in public housing towers. 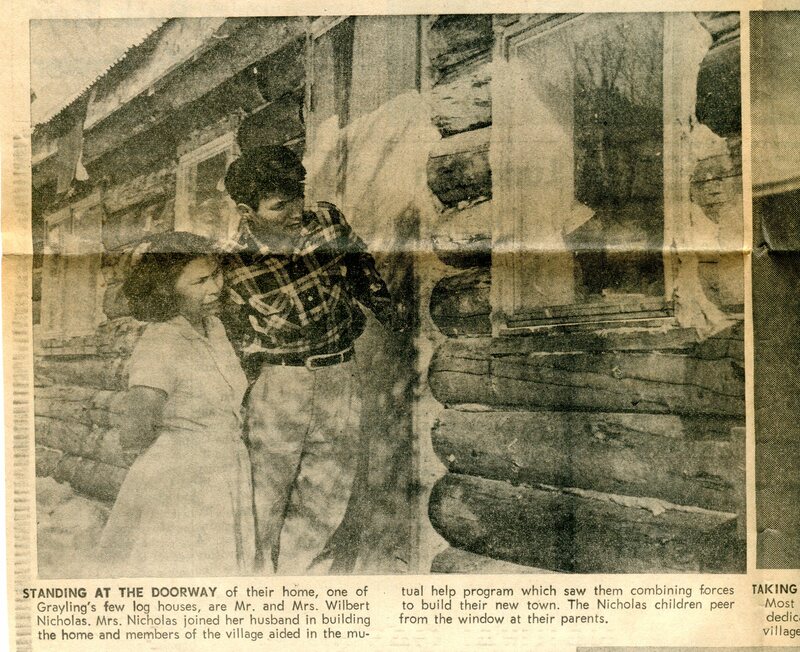 The Housing Demonstration Program paid particular attention to pockets of rural poverty, which had received little government assistance up to that time. 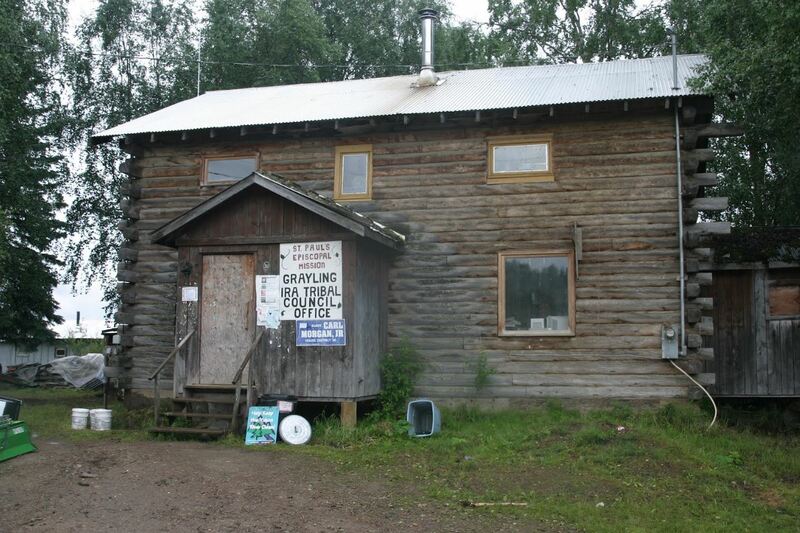 One project was in the remote village of Grayling, Alaska, a settlement of the Holikachuk tribe of Athabaskan Indians (the term I was given by one of the residents there). Located four hundred miles west of Anchorage, Grayling’s population was then about 125. Most lived in conditions that would have been poor anywhere, but were particularly challenging in a place where winter temperatures drop to 40 degrees below zero. The town is in a forested area on the Yukon River. Word of Grayling’s housing problems made its way to the office of the Housing Demonstration Program in Washington DC, 5,000 miles away. Elfriede and the agency’s technical staff developed a plan in which trees were felled upriver from the development and floated down to the town where they were used to build log houses. The government provided kitchen equipment, doors, windows, hardware and the like at a cost of $2,500 per house. The Holikachuk people decided where to locate their own houses and did the building themselves. 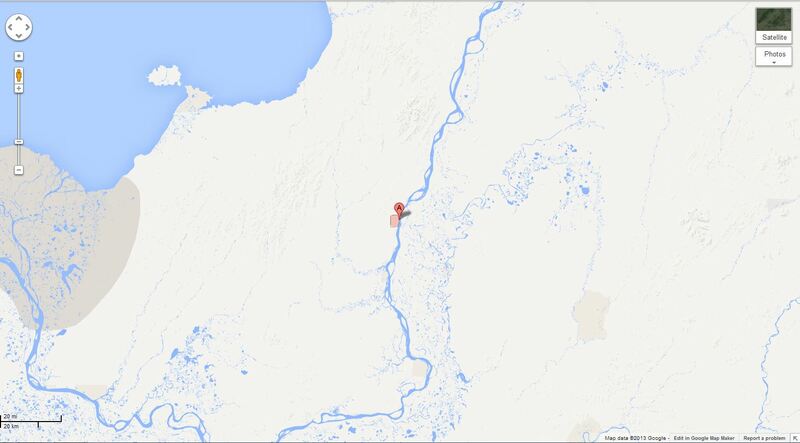 Map showing location of Grayling, Alaska. There’s nothing but tundra for miles around. 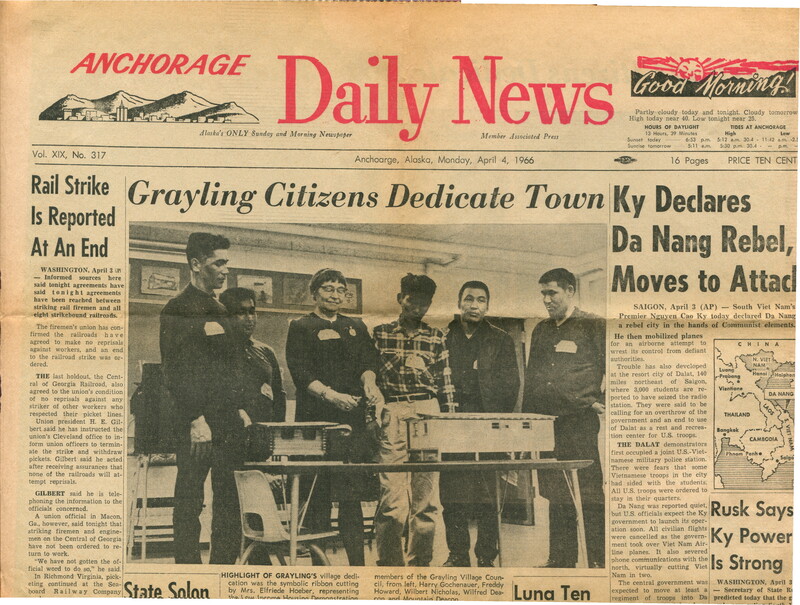 Anchorage Daily News, April 4, 1966. Elfriede Hoeber, accompanied by village officials, cuts a symbolic ribbon between models of two of the log houses her agency subsidized. Click image to enlarge. 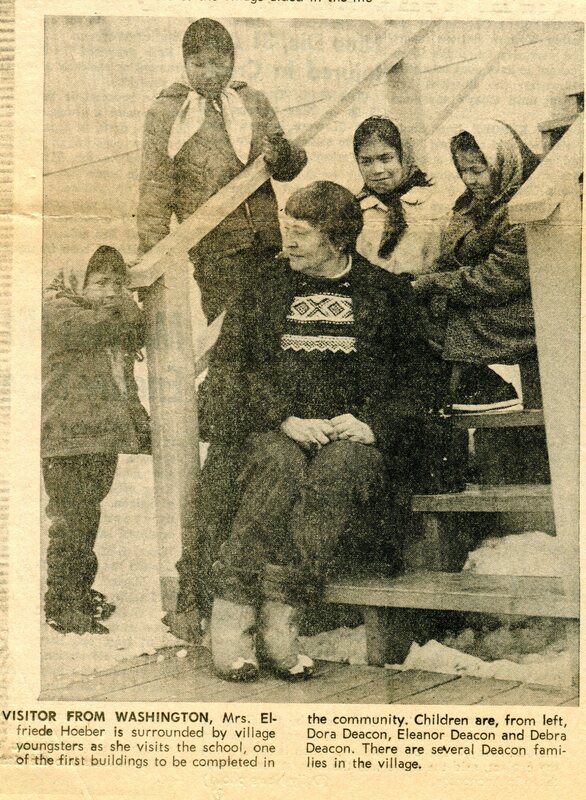 On her return to Washington, Elfriede wrote a report on her trip to inspect housing demonstration programs in Alaska. It is one of the more charming government reports you will ever read. Click on the link below the image to read in a larger format. First off, we are not Eskimo. Second, your mother put our moose meat down. Third, it is not the tundra. AND YES! We have trees. So before you publish something like this, you should do your research. First of all, we are Athabaskan Eskimo, we are Athabaskan Indians. Your article is incorrect on so many topics and disrespectful on so many levels. Before you blog about any community or tribe you should travel to that community and do your research yourself. You have no right to stand in judgement of another race or community and publicly put that race or community down to such levels of disgrace. This type of public discrimination should be banned. I am glad to receive comments expressing anger at this blog post. It is humbling to be corrected by those who know better. At the same time, I would point out that the document on which this post is based was written nearly 50 years ago, and reflects the attitudes of even well-intentioned people of that time. I’m sure the report would not have been written that way today. The comments of Stacy Nicholi and Loretta Maillelle will stay with this post as a corrective. I would be interested in knowing exactly where you two commenters live, and I would love to know what life is like in your part of the world today. I would love to visit your community, but I am afraid that there is no realistic opportunity for me to do so. The only point on which I would disagree is your anger at my mother’s put down of moose meat, which I’d like to try some day. People everywhere are funny about foods to which they are not accustomed. Elfriede’s statement about her personal tastes was an authentic response to something new to her, and I think it says more about her horizons than it does about moose meat. Plenty of people come to my home town of Philadelphia and don’t like our famous cheese steaks. I don’t take that as a personal attack but as a difference of taste. But I do understand where you’re coming from. My mother died 17 years ago, but her trip to the towns Alaska in 1966 was among her fondest memories. She would be very upset at the level of distress she has caused at a half century’s remove, and would express her apologies to all of you were she alive today. Thanks for taking the time to write. I would be grateful if you would convey my response to the many, many people who read this blog post today.